A vanadium facility, located in South Africa is winning vanadium from titaniferous magnetite. The titaniferous magnetite is processed in various stages, using a.o. precipitation tanks and various positive displacement and transfer pumps. Vanadium occurs naturally in about 65 different minerals and in fossil fuel deposits. It is produced from steel smelter slag, the flue dust of heavy oil, or as a byproduct of uranium mining. It is mainly used to produce specialty steel alloys such as high speed tool steels. 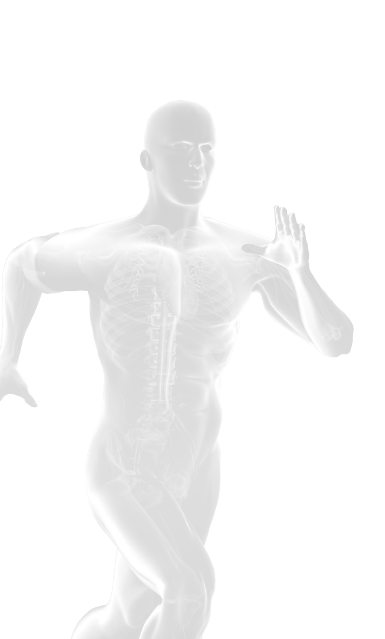 Vanadium is found in many organisms, and is used by some life forms as an active center of enzymes. Magnetite and vanadium are of a very abrasive composition causing problems in the lifetime of process materials such as in wetted parts sections of pumps. All vanadium in the ore occurs in solid state in the titaniferous magnetite. After the first stage of processing, the magnetite concentrate is subjected to a conventional roast leach precipitation process for the recovery of vanadium. To achieve the desired final product quality. Then Silica (SiO2) is removed from the processed magnetite concentrate (pregnant solution). Precipitation of vanadium from this processed magnetite concentrate is achieved by adding Ammonium Sulphate ((NH4)2SO4). The vanadium recovery process makes use of an evaporation process to recover sodium sulphate salt from the barren solution after precipitation. This salt is recycled back to the kiln, displacing the need for a portion of the sodium carbonate flux requirement. Barren slurry has to be pumped with approx. 60% solids handling, which is much too high for some pump types. Flow range is about 6 – 8 m³/h. The ideal solution is a peristaltic pump. Because of the construction of the Verderflex peristaltic hose pump (only the hose is in contact with the wetted parts of a pump, so there are no moving parts to clog and no chance of cross contamintaion) a Verderflex VF40 peristaltic hose pump was chosen. The Verderflex VF40 pump is capable of flow rates of 7.5m³/hr and pressures up to 16 Bar. Like all hose pumps the only wearing part is the hose itself, keeping maintenance time to a minimum. Abrasive mining slurries have sub-micron solid contents in excess of 80% with slurry SGs in excess of 2.0. Since the first Verderflex peristaltic pump has been installed, other pumps have also been replaced by hose pumps. 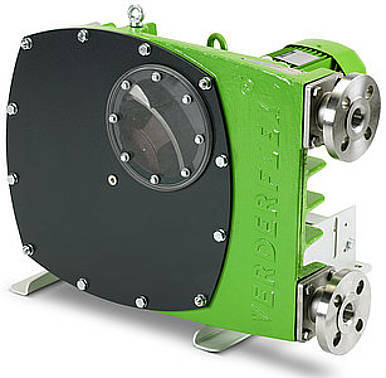 The Verderflex VF peristaltic pump is so much easier to maintain compared to other positive displacement pumps, due to its quick maintenance capabilities. The hose pump can run dry and the simplicity of the rotor design and the flange arrangement makes the pump perfect for severe mining applications. It just runs and works when you need it to.